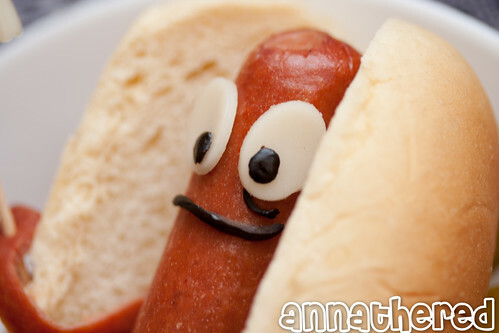 "I’m not sure what exactly a Hot-Dog Fairy does, but my theory is when you drop a hot dog, you pick it up and put it under your pillow before you go to sleep. 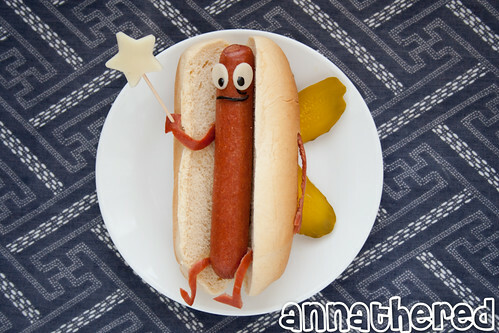 And if you’re lucky, you might see the Hot-Dog Fairy." This cute guy comes from Anna the Red, who photographed his construction step-by-step. Who says you can't play with your food?